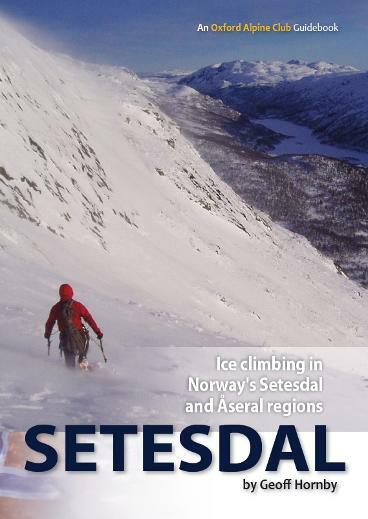 "Geoff and his team had stumbled upon a world-class destination, and they'd evidently had an abundance of fun and adventure in its exploration..."
Located in southwest Norway, the Setesdal valley is one of Europe's hidden climbing gems, providing world-class routes throughout the year. When the long winter draws in, the huge granite walls and towering waterfalls become an ice-climber's paradise. Away from the crowds that descend upon nearby Rjukan each winter, Setesdal is rural Norway at its best. There's everything here from roadside ice crags, to full-day ice epics; routes spanning the grade range from WI2 to WI7. Add to that frequent cheap flights, easy access from Oslo, ample comfortable accommodation, and some of Europe's most reliable roadside ice, and you've a destination not to be missed. from WI 2 to WI 6ranging from roadside top-ropes to full-on alpine adventures, including some of Norway's greatest ice lines.